Who says florals are only reserved for spring? 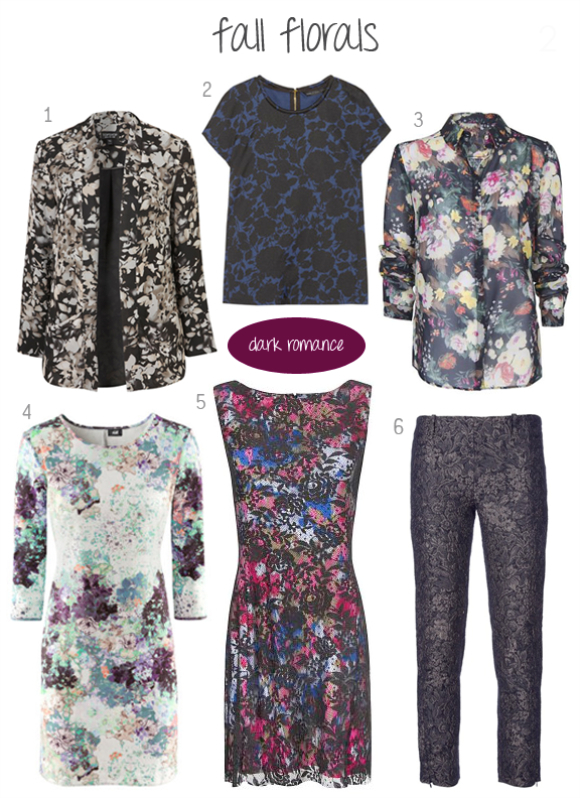 This fall, the floral trend is surprisingly in full bloom with a darker, edgier and moodier tone. Mixed with different patterns, fabrics and a darker colour palette, fall florals are more intricate and textured, creating a luxurious and splendor feel. It has a deeper, broodier romantic element seeping through and I love that it can still be feminine and fun.